Funny Stuff SFW Babes SFW Hunks Sports WTF! 4197 Members Have Submitted 145285 Threads Containing 657201 Posts. 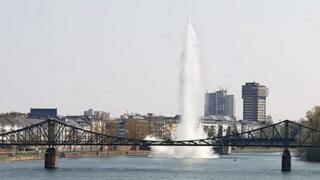 Some 600 people are evacuated from parts of the German city as experts explode a device underwater. It seems like once a week the bomb squad are on our beach blowing something up. Fuckers never tell us when either. or register to add a comment!